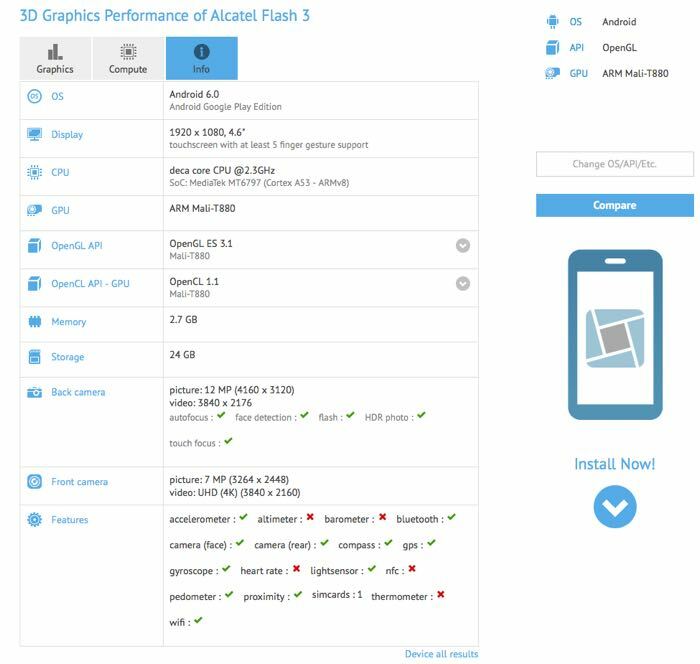 The specifications on the new Alcatel Flash 3 smartphone have been revealed by the GFX Benchmarks, the handset will come with a 4.6 inch display with a Full HD resolution of 1920 x 1080 pixels. 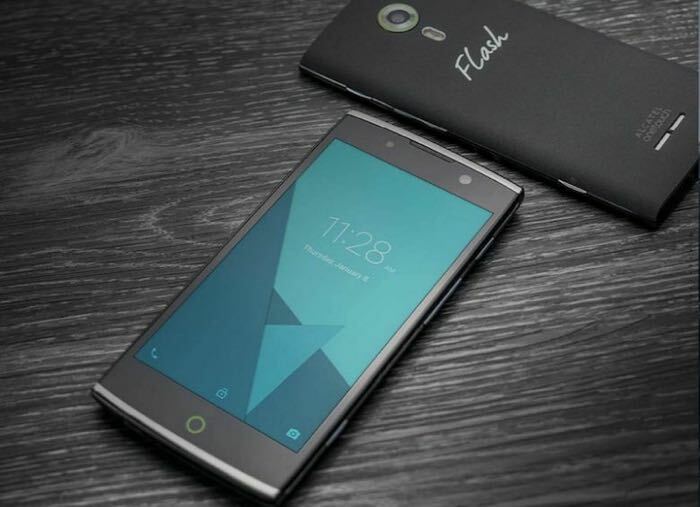 The new Alcatel Flash 3 will be powered by a deca core 2.3GHz MediaTek Helio X20 processor and will come with 3GB of RAM, the handset will also come with 32GB of built in storage. Other specifications on the handset include a Mali T880 GPU and dual cameras, the front camera on the handset will come with 8 megapixels and the rear camera on the device will come with 12 megapixels. The new Alcatel Flash 3 will come with Android 6.0 Marshmallow, as yet there are no details on when the handset will launch, as soon as we get some more details, we will let you guys know.